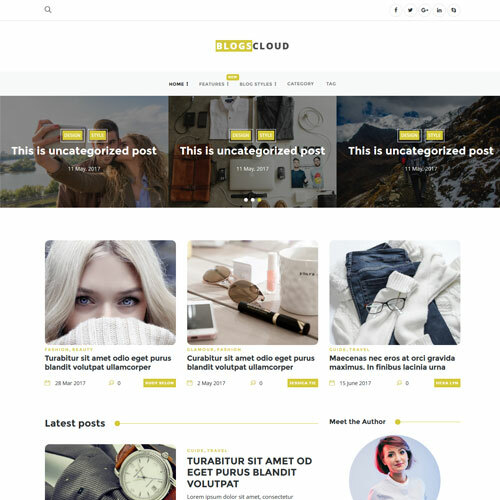 Blogscloud is a blog category website template. It is designed for blog and magazine websites. The template has decent design and cool color combination which bring out the best creativity. This blog style website template is designed to keep your visitors attracted to your website. You will get the typography along with the template which you can use to display your blocks in different styles. It is entirely designed with HTML5, CSS3, jQuery, and Bootstrap framework with all the well-coded files which will make your customization very easy. 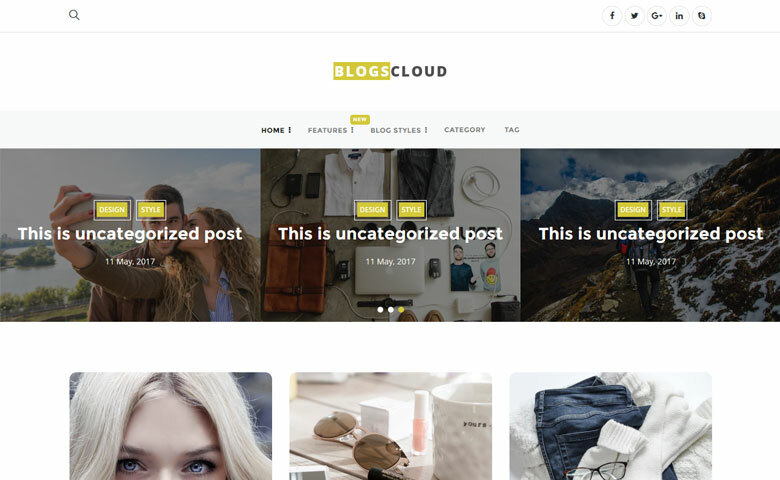 In this template, you will get the blog styles like masonry style, grid style, left style, right style, mix style, and large style. You can use this template for your any type of blog or magazine websites. 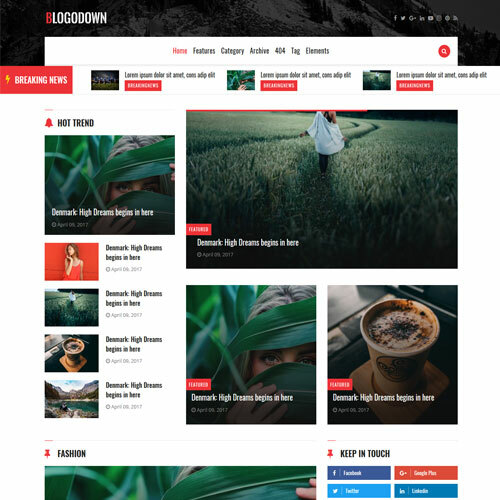 It also includes some amazing features like homepage with two slider options, authors pick section, latest posts with sidebar including social buttons to share the post, and category to filter the blog you are looking for, newsletter subscription is also designed in the template, Instagram feed section with image shuffle, a decent footer with about us section, tags, trending blogs with slider, latest blogs, and a crafted website logo. 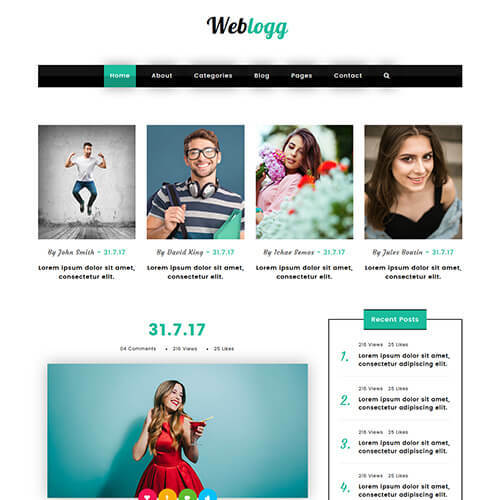 This blog website template for a blogger is fully responsive and can be easily customizable as per your requirement. Download and make it yours!